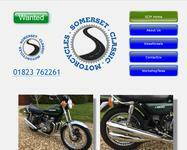 Introduced in 1976, the Z900 followed in the footsteps of the legendary Z1. 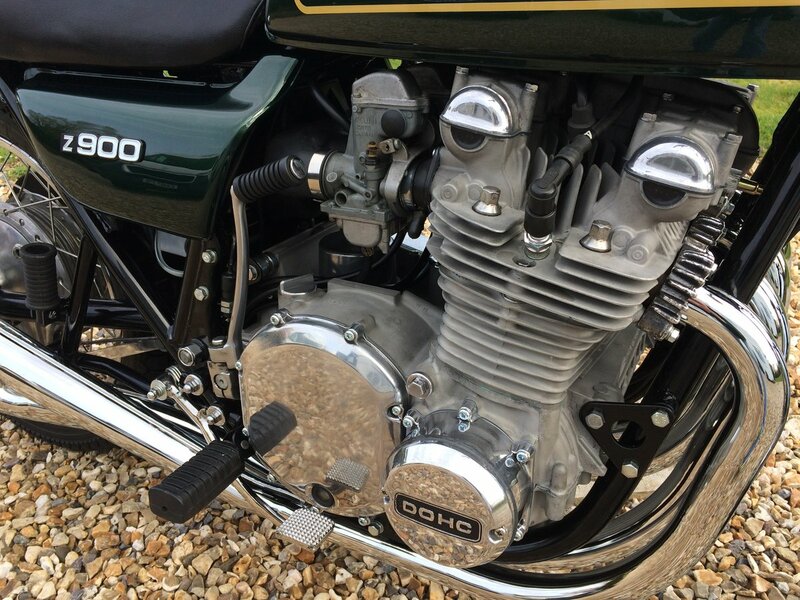 Although power had been reduced slightly with the fitting of slightly smaller carburettors, the Z900 was felt by many to be a better bike to ride and still a fast bike for the day. 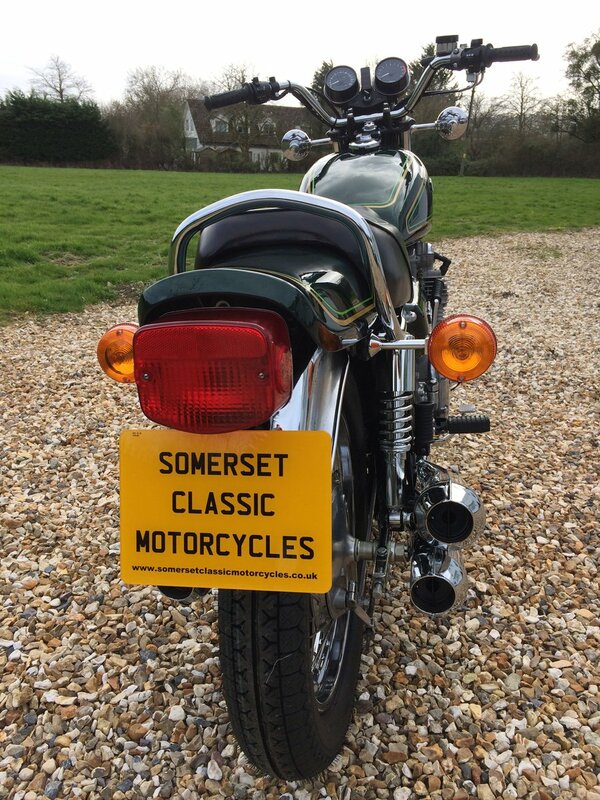 Overall, the bike retained the same look as the Z1 and is still referred to as a Z1 by many. 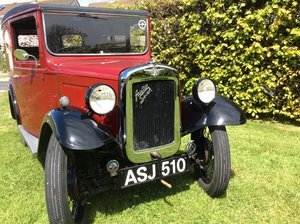 Colours were diamond brown or the more popular diamond dark green. These bikes are so well known that little more needs to be said. 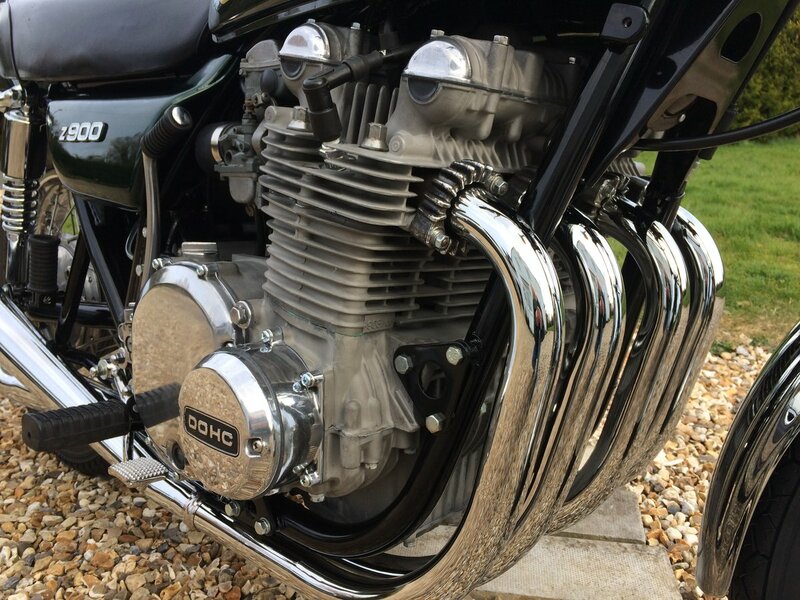 The particular example we have for sale has been completely recommissioned and rebuilt for us by no less than Tim Blakemore, renowned for restoring bikes the proper way, and in particular Z1s, Z900s, H1s and H2s. This bike has been completely taken apart including a full engine strip-down and rebuild using new parts where needed. 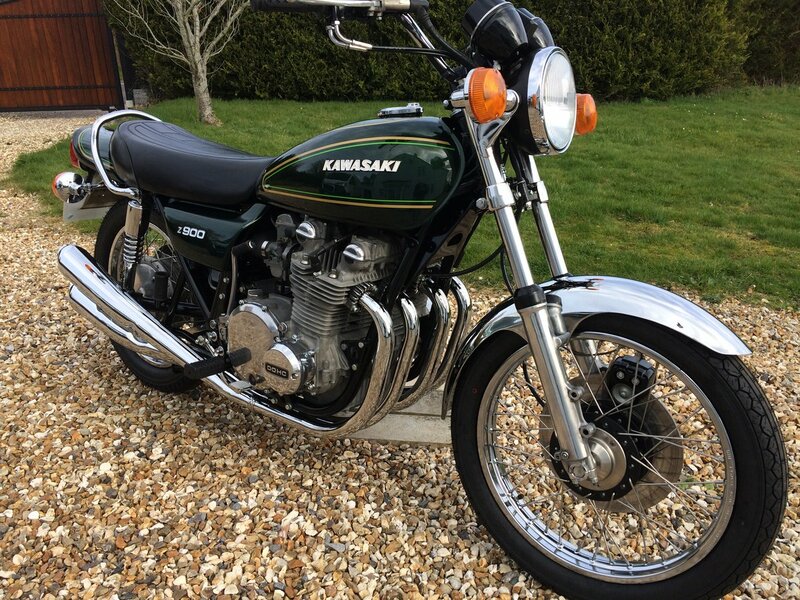 The paintwork is new and faithfully recreates the Kawasaki original. 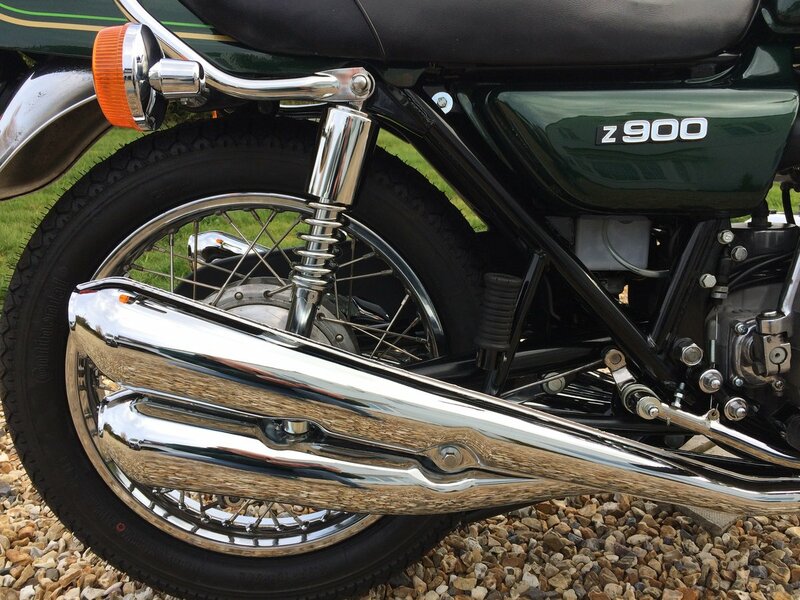 New exhausts complete the restoration which takes the bike back to the way it might have looked at the local Kawasaki dealer back in 1976. 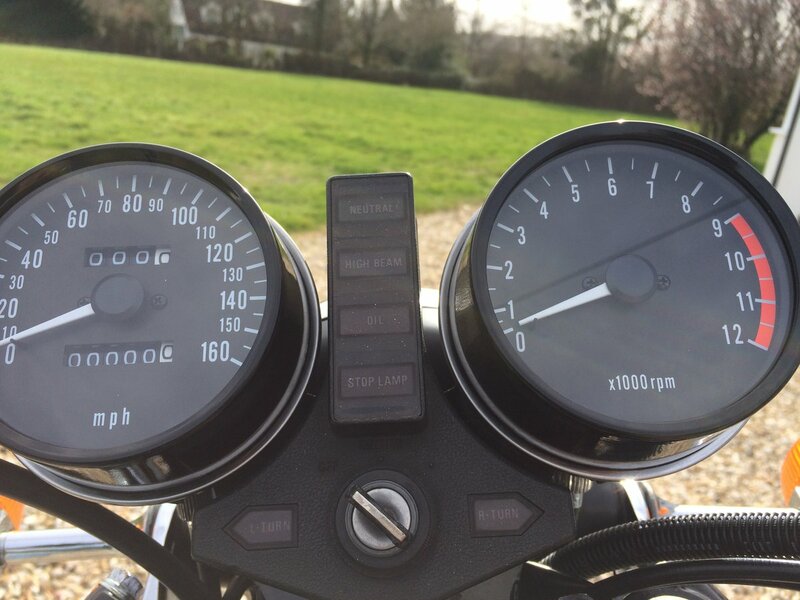 Instruments are new but the original speedometer can be supplied with the bike to evidence the previous mileage. We believe in sensible pricing which is why we are asking for something realistic.